Wireless spectrum—the tiny slices of the invisible world that make data through the air possible—is a precious, precious commodity. Everyone wants it. You want it. And the government wants to hand some out—but everyone will hate the plan. 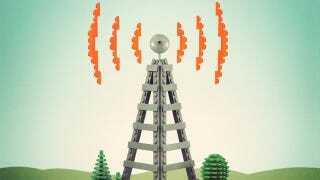 Instead of clearing the 1755-1850 MHz block of all government transmitters, the National Telecommunications and Information Administration (NTIA) is recommending that federal agencies and mobile operators share the airwaves, splitting time over the same frequencies between commercial and government use.